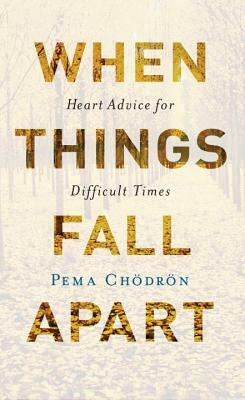 Pema Chödrön's perennially best-selling classic on overcoming life's difficulties cuts to the heart of spirituality and personal growth--now in a newly designed 20th-anniversary edition with a new afterword by Pema--makes for a perfect gift and addition to one's spiritual library. Pema Chödrön is an American Buddhist nun in the lineage of Chögyam Trungpa and resident teacher at Gampo Abbey in Cape Breton, Nova Scotia, the first Tibetan Buddhist monastery in North America. She is the author of numerous best-selling books, including The Places That Scare You and Living Beautifully.